Socialite and novelist Charles Condomine invites an eccentric medium and clairvoyant to his house to conduct a séance, hoping to gather material for his next book. However, the scheme backfires when, after the séance, he is haunted by the ghost of his annoying and temperamental first wife, Elvira. BSEAODS last performed Noël Coward’s Blithe Spirit when the Theatre Royal Bury St Edmunds reopened in 1964 and they will now restage this well-loved play for the theatre’s anniversary year. 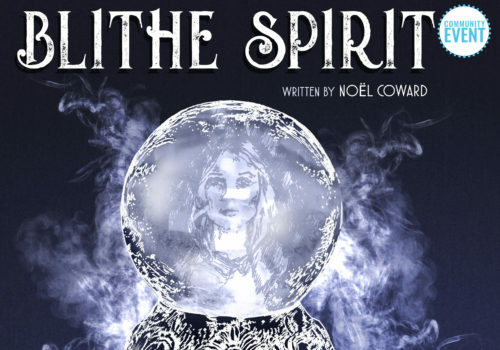 This amateur production of “Blithe Spirit” is presented by special arrangement with SAMUEL FRENCH LTD.
Tue 2 Jul at 7:30pm 7:30pm Book Now! Wed 3 Jul at 7:30pm 7:30pm Book Now! Thu 4 Jul at 7:30pm 7:30pm Book Now! Fri 5 Jul at 7:30pm 7:30pm Book Now! Sat 6 Jul at 2:30pm 2:30pm Book Now! Sat 6 Jul at 7:30pm 7:30pm Book Now!